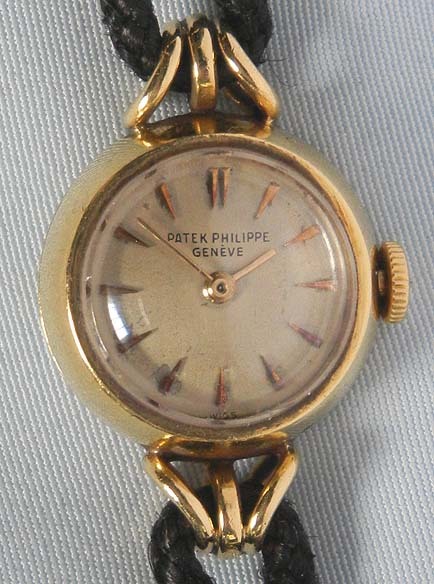 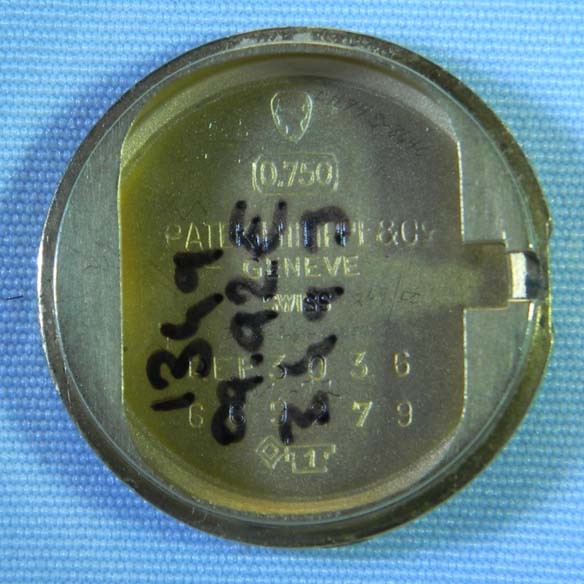 Fine and delicate Patek Philippe reference 3036 ladies 18K gold vintage wrist watch circa 1953. 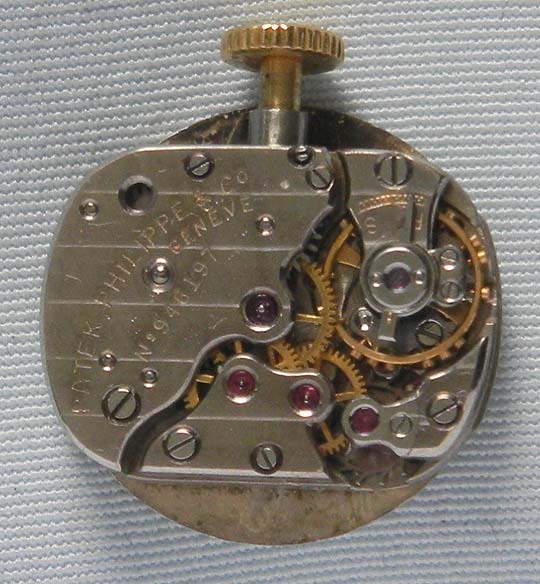 Original silver dial (light signs of age) with applied gold markers and gold hands. 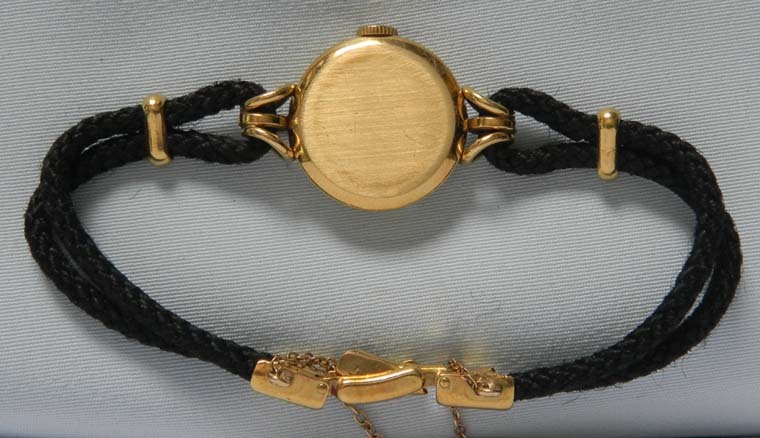 The cord band with 18K gold fittings.